Some of people’s biggest problems in life can be solved with a human Veggie Chopper. If you had a personal Veggie Chopper, you’d eat your weight in vegetables, right!? That’s why you need a Veggie Chopper. Because you’re not eating enough vegetables. I’m not joking. This sounds like a joke, but it’s not. You need a personal Veggie Chopper more than you need any personal in-home service. You need a Veggie Chopper more than green grass on your front lawn and you need a Veggie Chopper more than clean toilets. I know what you’re thinking. You have every vegetable chopping gadget found on Amazon because your mom buys you a new one every year for Christmas. You have so many vegetable chopping gizmos, that you’ve run out of room in your kitchen and you’re storing them in your closet with all the sheets. You might as well donate them to Value Village, since you’re not even using them. Yes, machines can help with your not-enough-vegetables-in-your-diet dilemma. But they can only take you so far. A salad shooter won’t work because not everything can be shredded. 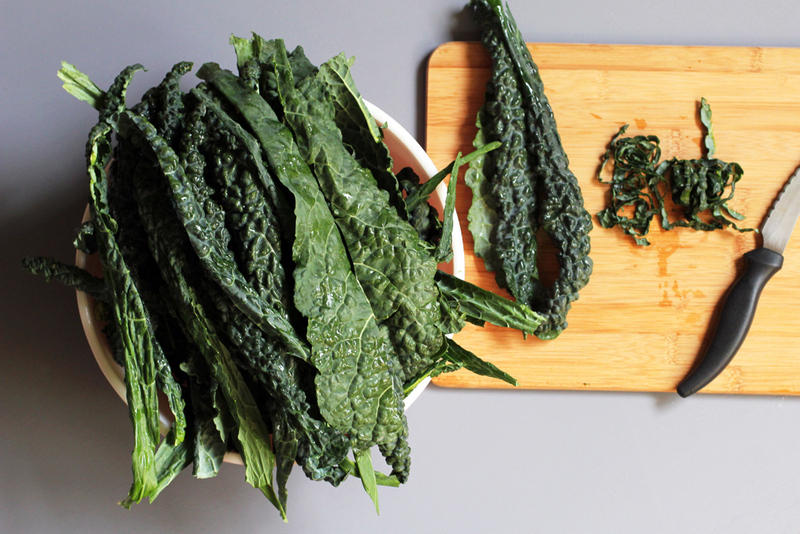 Same for the food processor — you can’t put your dino kale in your food processor when you’re making this Dino Kale Caesar Salad! You have to chop it the old school way, with fingers, a sharp knife, and a cutting board. This is all the equipment you need to chop vegetables. If you can’t handle basic chopping equipment, then you should be looking on Craigslist for a Veggie Chopper. You’ll need to make sure your Veggie Chopper comes over on the day you make this Dino Kale Caesar Salad. 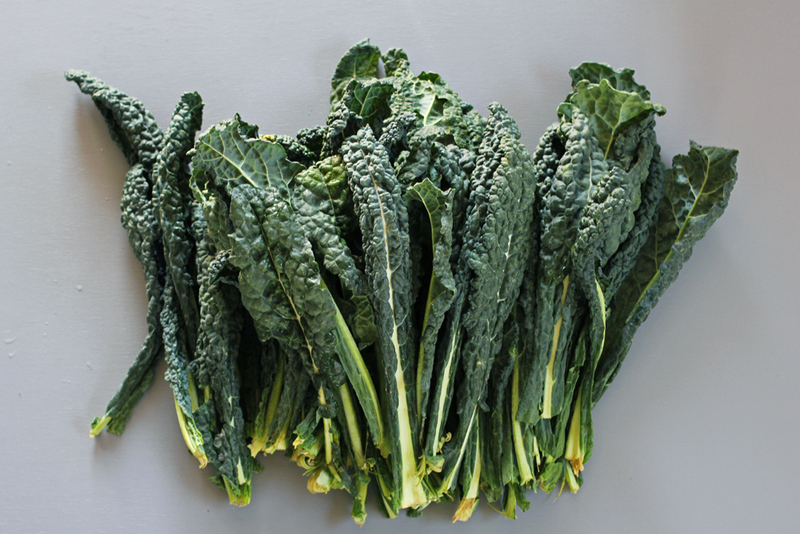 The Veggie Chopper can chop the four bunches of Dino Kale into delicate ribbons while you prep the dressing. Hopefully, the Veggie Chopper is really good with the knife. That’s why you need them. Prepping the dressing means that you’ll have to finely mince some garlic, but that ain’t so bad compared to FOUR bunches of finely chopped kale. Speaking of garlic, for the garlic lovers, you can go up to nine cloves of regular sized garlic for the Caesar dressing. If you want the garlic on the milder side, stick to six cloves. Well, technically six cloves of garlic is not really mild, but this is Caesar dressing we’re talking about. I personally love garlic breath, so I prefer this kale Caesar salad with the full nine cloves. If you don’t have a Veggie Chopper, then make the dressing first. It should marinate for a few hours before being put to good use. It might even take you that long to chop all that kale, because you’re a slow chopper and you’d never make it in the Veggie Chopper profession. If you’re a ninja when it comes to chopping, or if you’ve hired a Ninja Veggie Chopper, you may want to make the dressing the day before so it has time for the flavors to marinate. If I could eat eggs, I’d use paleo mayo in the recipe (any mayo will work!). Most of my family is egg-free and soy-free, so we’re forced to use the allergy-friendly mayo that contains brown rice syrup, which is not paleo. 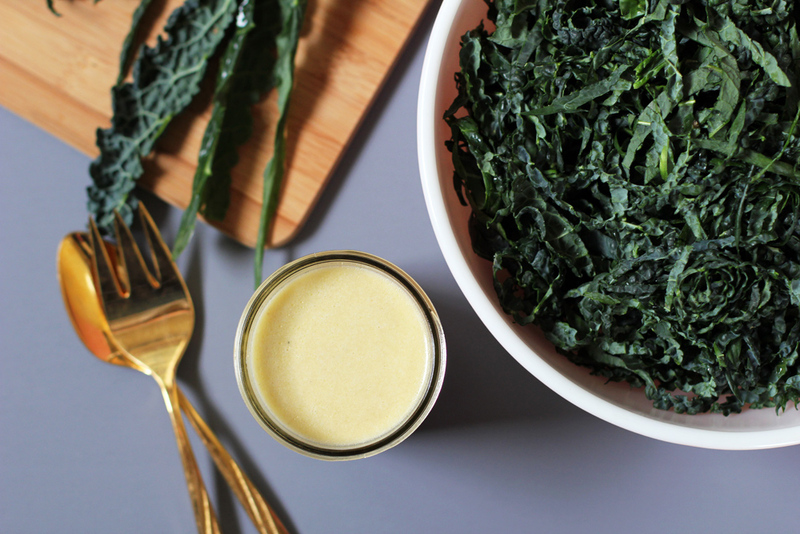 If you use soy-free vegenaise for this Caesar salad dressing, the recipe will contain zero eggs and zero dairy, which makes it easy to make it vegan. 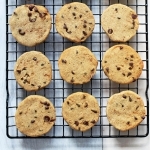 All you’d need to do is remove the anchovy paste. As a family of four, we can eat the entire recipe in one dinner setting. It is THAT good. Our girls are obsessed. Even the Wendy’s Eating Husband scarfs down this raw kale by the forkful. We enjoy it plain as is, but sometimes we’ll throw some grilled chicken on the salad and have that as dinner. Place all ingredients except the kale in a jar. Shake well. 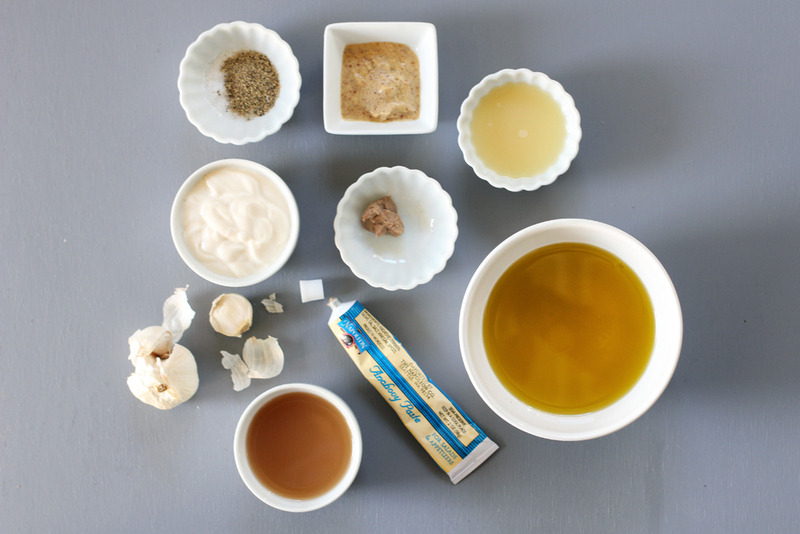 Let dressing marinate for at least 2-3 hours prior to using. Store in refrigerator. Note that depending on how long you store the dressing in the fridge, the olive oil can harden at cold temperatures. 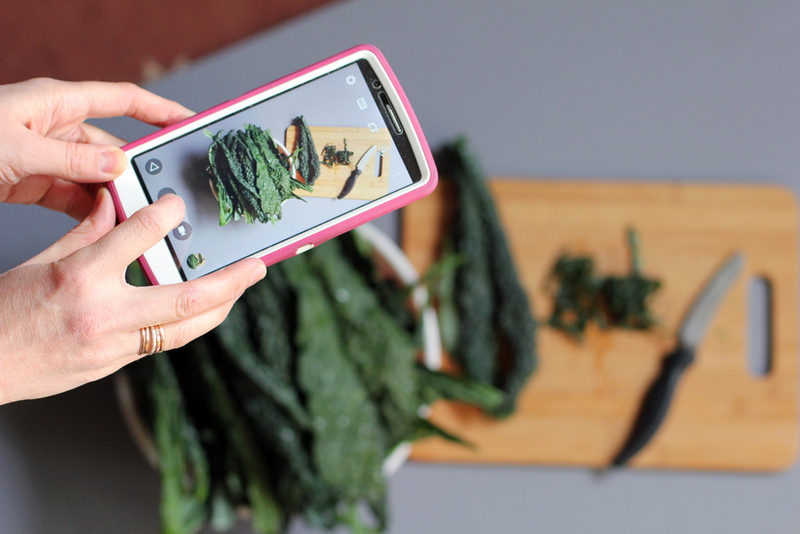 Wash and de-stem kale with kitchen shears. Pat dry with a towel. 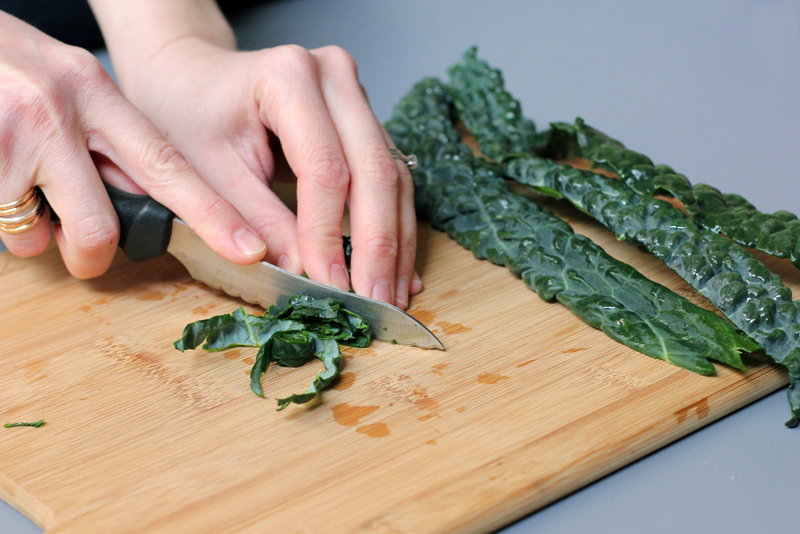 Tightly roll kale leaves and thinly chop ribbons of kale. 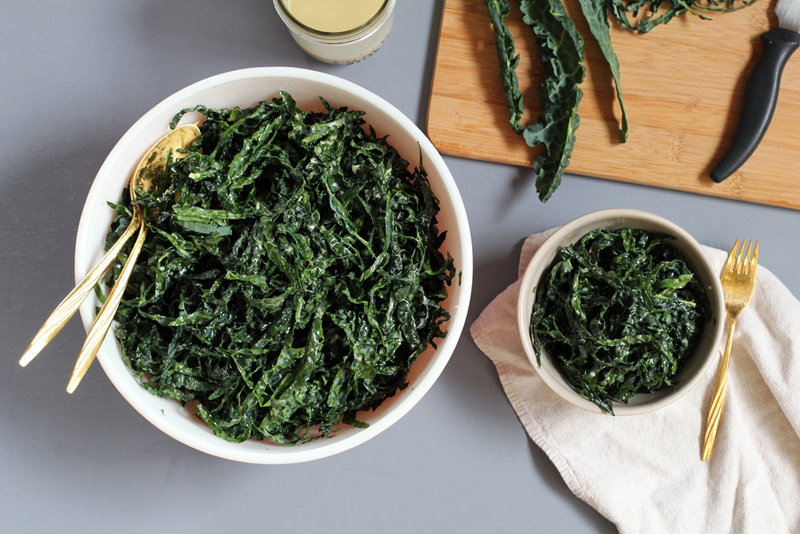 Note: At first, it will seem like all of the kale will be too much for one bowl. No worries, it shrinks! I use two bowls to make the salad. I’ll put half the chopped kale in one and the rest of the chopped kale in the other. Then I split the Caesar dressing between the two bowls. Once the kale shrinks down a bit, I’ll combine everything in one bowl.